The world needs more functional artwork. Fortunately, exactly this was recently unveiled by Kengo Kumo, a Japanese architect and professor of the University of Tokyo. 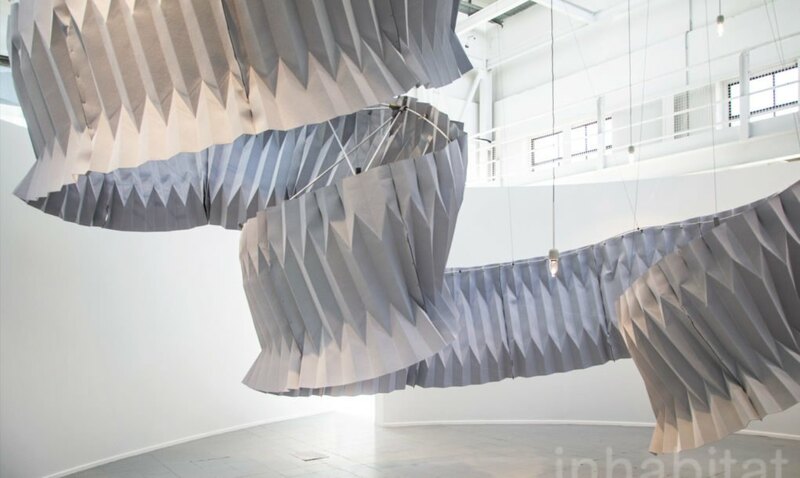 “Breath/ng”, a spiraling, air-purifying structure, made its debut at Milan Design Week. Inhabitat reports that the installation was developed by Anemotech and is capable of absorbing the emissions of 90,000 cars each year. 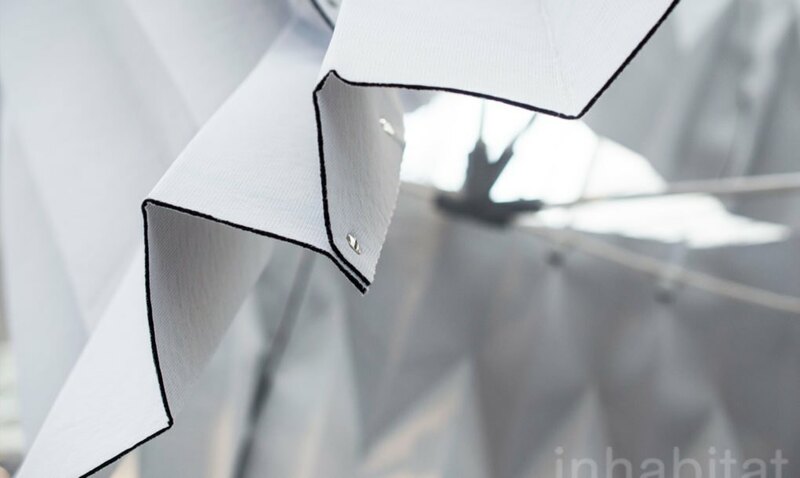 Kuma’s “Breath/ng” is made from a high-tech fabric with a nano-molecule activated core that separates and absorbs pollutants. 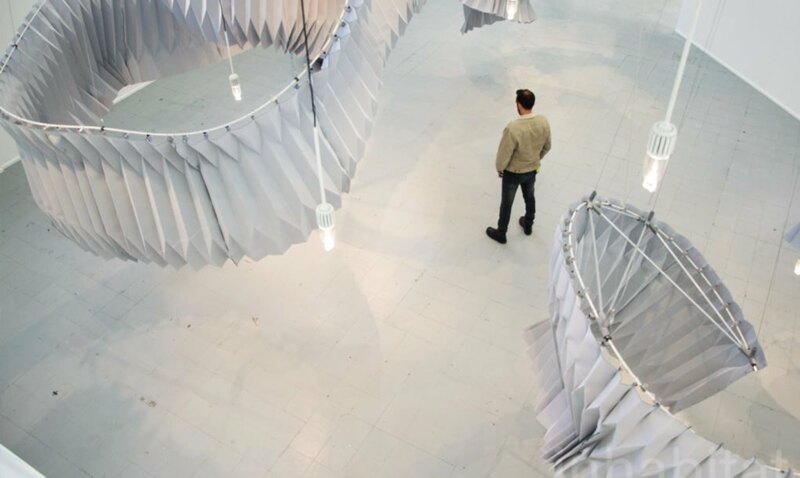 The entire structure is made from 120 hand-folded origami “Breath” panels. Each panel measures approximately 1.2 meters by 1.2 meters. 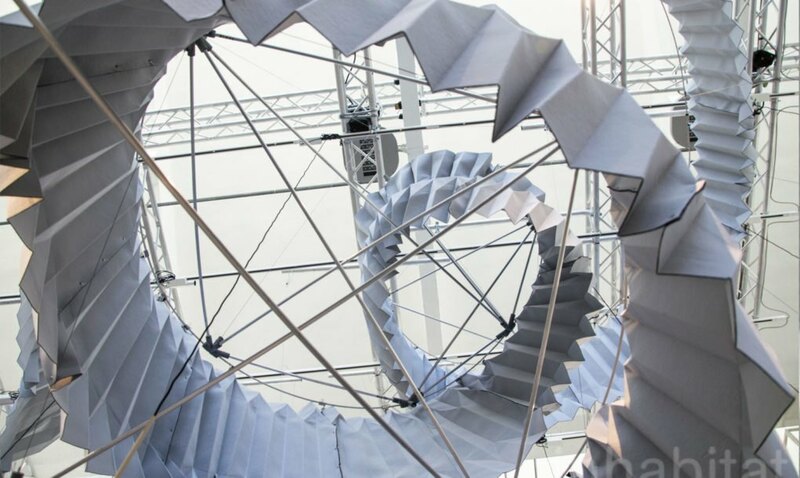 The spiraling work measures about six meters tall. 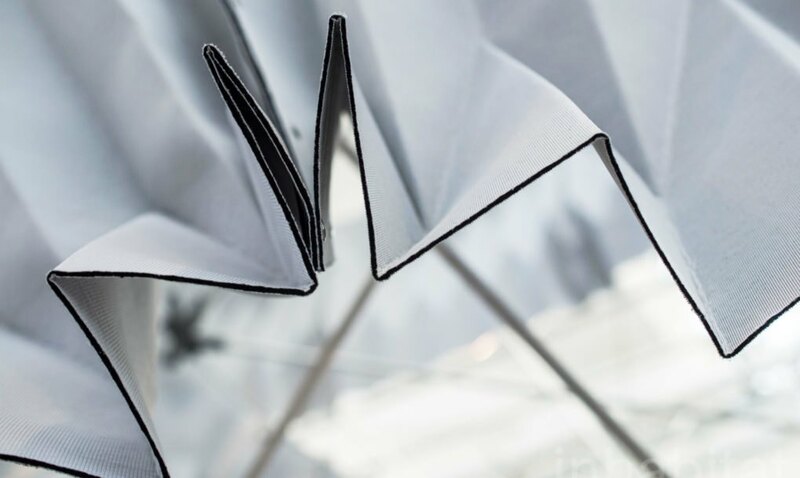 A single carbon fiber rod, fixed in place by 46 3D-printed joints made with an HP Multi Jet Fusion printer, suspends the structure. 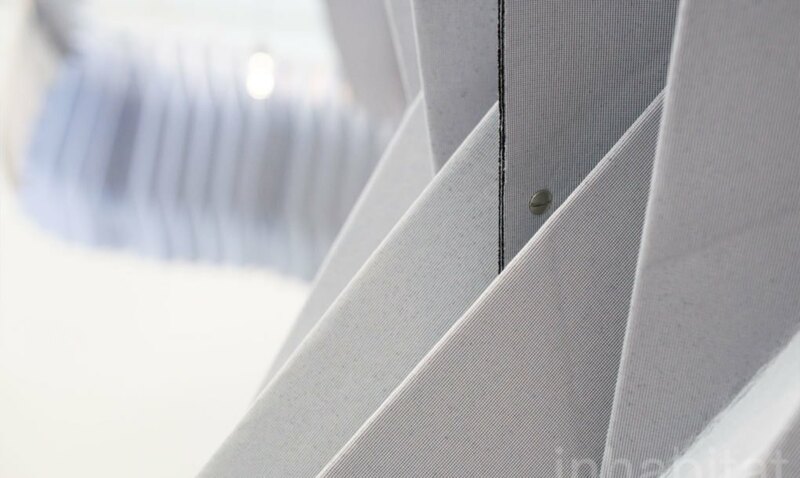 Over the course of a year, the 175 square meters of fabric can absorb the volatile organic compound s(VOCs) from tens of thousands of vehicles. 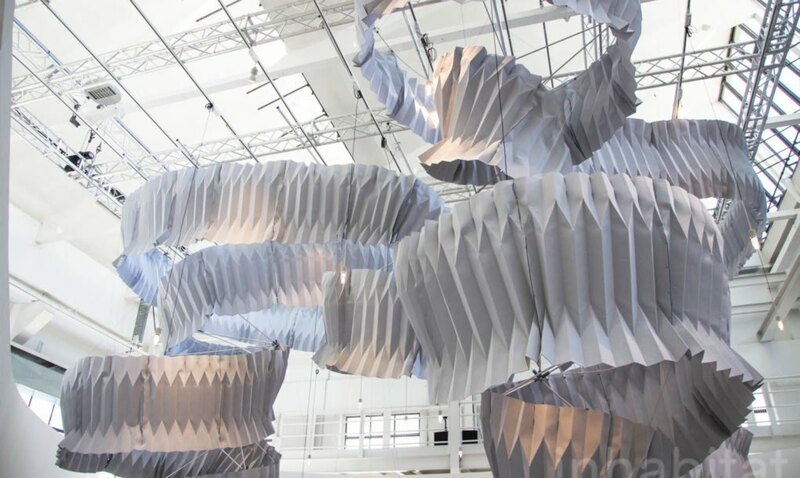 The installation was created using advanced Dassault Systèmes software and tools. 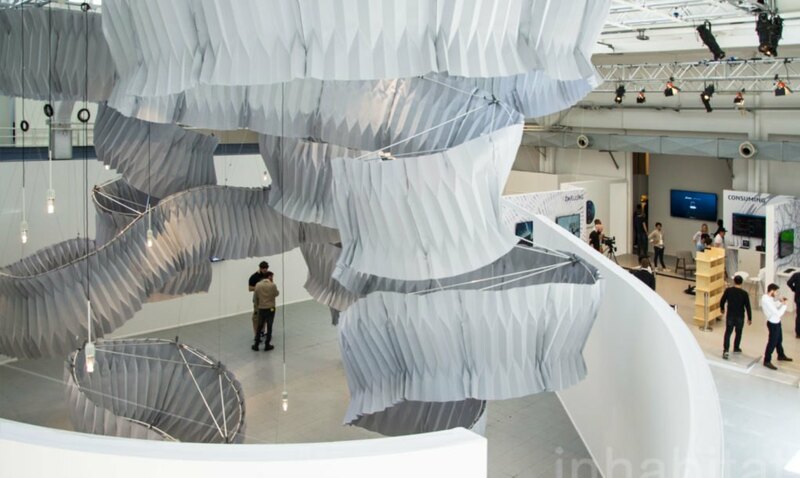 In fact, Kuma was invited by the French company to explore the theme, “Design in the Age of Experience.” His enthusiasm for eco-friendly innovation led to the unique sculpture that scrubs the air. Air pollution is a topic we all need to be well-educated on. This is because the amount of toxic particulates in the air is increasing as a result of mankind’s unsustainable habits. Not only does air pollution decrease the average lifespan of animals and humans, it harms wildlife and the environment, contaminates food sources, and decreases overall well-being. 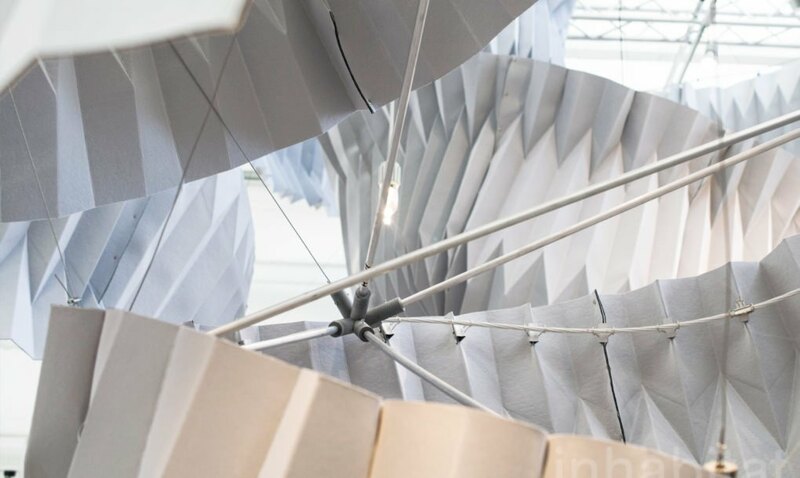 Because none of these are preferred, Kuma’s installation could be a great zero-energy solution for polluted cities. Hopefully, in the future, we will see similar installations on the lawns of community centers and in government buildings. What are your thoughts? Please comment below and share this news!